The Yellow Cape Cod: A Design Plan Decorated For Christmas~What? Already? Yep. A Design Plan Decorated For Christmas~What? Already? Yep. It's no secret that Christmas decor is a big deal at The Yellow Cape Cod. 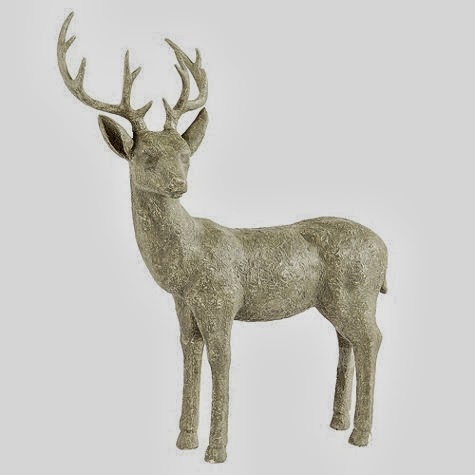 Many times when I am designing a space, I find myself envisioning how I would decorate said space for Christmas. The fresh green color palette of this home office is grounded with dramatic black furnishings. 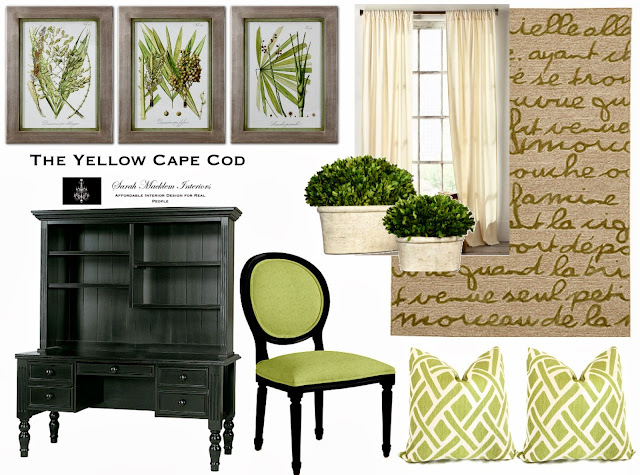 A little nature was brought into this design through art, potted boxwood a gorgeous natural fiber rug. As we were working on this project, I began to imagine the top of the desk dressed with a gorgeous garland during the holidays. Along side the desk, I pictured a fresh potted tree in an urn for romance and fresh evergreen scent. 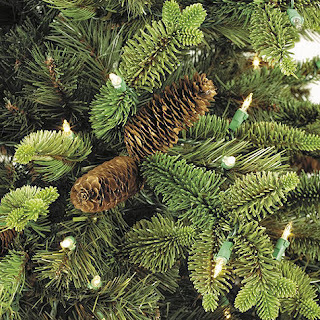 Bright, apple green Christmas ornaments, pine cones and white lights adorning the tree. Last but not least, to play on the nature theme, I imagined this guy tucked in a corner. Providing Christmas decor is not part of my online design service. Today, I indulged in my Christmas fantasy about this space. I wanted to share this because it is a great example of how any design can be enhanced with tasteful holiday decor, regardless of the style or color palette. So, there it is. My first Christmas post and it's not even Halloween. 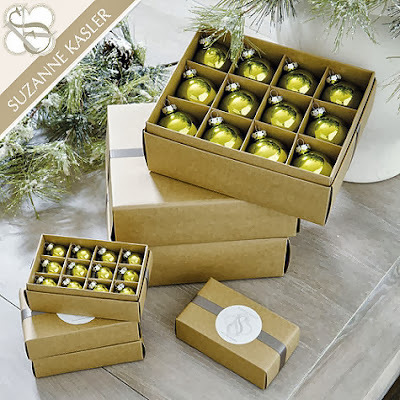 I am so excited to get the boxes out of the attic and go to town decorating for our 2013 Christmas Home Tour. Details to come soon. Ahhhh! Yessss. I am officially inspired, thank you very much. You have made my day! 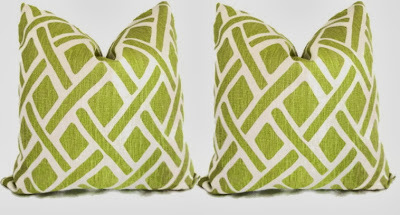 A friend gave me a huge bag of "apple green" crinkled metallic pears (from Pier One) that she'd grown tired of, and I've been trying to think of something fun to do with these. I think I'll use them for Christmas -- a new theme for the tree. 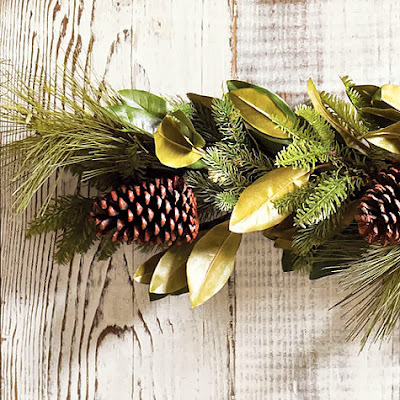 I'm stealing your idea to use magnolia leaves (sponged with moss green on the face), pinecones, the pears, throw in some white branches, and a few woodsy extras for good measure. I've never decorated with this theme before, and I love all the subtle shades of green married together with that "natural" element. So glad I read your blog! Love the desk. Do you mind sharing where you found it? Yay - Christmas! Being down under, all the "Fall" stuff wasn't my thing as we're Spring down here! FABULOUS photos and ideas! Im excited this year too! Odd for me! I love the rug! Is it from ballards?